One of my favorite liquors is definitely tequila. This is true even after many late nights in college that saw me vomiting after a night of too much tequila. Even after that, it’s hard to not like tequila. I mean, how would a margarita taste without it – terrible, that’s how it would taste! Of course, you don’t need to mix tequila with anything else to be able to enjoy it. 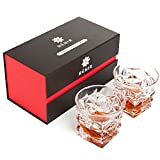 Whether you’re using some tequila sifters or tequila shot glasses, you can sip on that amber liquid and enjoy it’s burn. 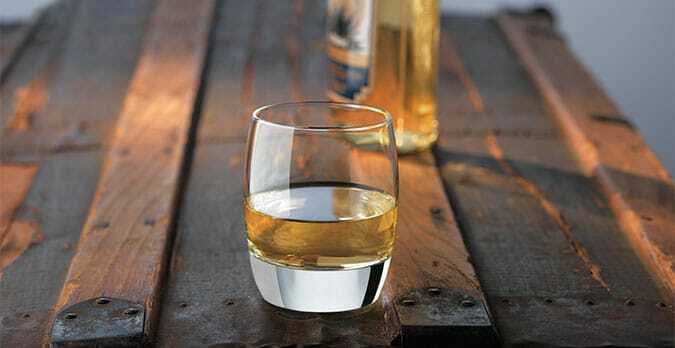 Check out some of our favorite tequila glasses below. As you can see from the list above, you have a lot to choose from when it comes to how you will drink your tequila. 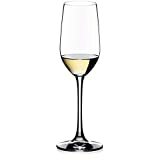 If you want to savor each sip, then I suggest going for some of the larger sipping glasses. You’ll notice that some of these are a lot like the sifters that you see for whiskey. 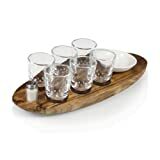 And, of course, you cannot go wrong with the tequila shot glasses listed up above. I do want to point out that you don’t have to throw back the shots and can actually sip from it if you want – but don’t be surprised if your buddies give you a good ribbing for it. Also, take a moment to check out those Tequila Salt Shooters that are at the bottom of that list. No less than Oprah herself has recommended those in the past! 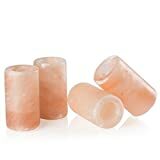 They are Himalayan salt, which is pretty much the highest quality salt that money can buy. And we all know how great salt and tequila are together, right? 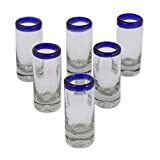 Yeah, you can’t go wrong with those if you’re looking for some cool tequila shot glasses. Do you have a favorite among the glasses listed up above? Prefer something else that we didn’t list? Well then, let us know all about it! 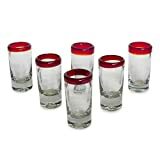 And remember, these tequila glasses sets make great gifts for weddings, house warming parties, birthdays, Christmas, retirement parties and bachelor or bachelorette parties. Basically, these are a good tequila gift idea for any occasion! Bought some of the Himalayan salt tequila glasses and they are perfect.